The heyday of the Biloxi schooner lasted just four decades, bookended by a hurricane and the rise of gas-powered boats. The schooner’s emergence coincided with the expansion of the Biloxi seafood industry at the end of the nineteenth century. Commercial fishing operations utilized recently completed inland railroad networks, particularly the one linking New Orleans and Mobile. Seafood packaging also benefited from new technologies of canning and refrigeration to extend their markets inland. Fishermen began turning to the schooner out of practical necessity and to keep up with increasing demand, particularly for oysters. As an oyster vessel, Biloxi schooners replaced catboats, which were single- or double-sail flat-bottom boats. Catboats were smaller and lacked the sail power to pull sizable oyster dredges and shrimp seines. The new schooners made up for these shortcomings, as they were broad enough to accommodate large crews, shallow enough to navigate inland waterways and Biloxi’s back bay, and powerful enough to haul in hundreds of barrels of seafood. They differed from the ubiquitous cargo schooners, which used higher freeboards to carry passengers, mail, timber, and other goods. 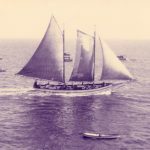 The primary impetus for transitioning over to the Biloxi schooner came in 1893, when a hurricane devastated most of the fishing fleet and provided the opportunity for fishermen to switch over to the new boat design. Biloxi’s boat builders constructed the schooners out of indigenous lumber from nearby forests. Builders used cypress from Louisiana for the boat’s frame and planking and longleaf yellow pine from Mississippi forests for the boat’s keel, masts, and spars. Completed Biloxi schooners ranged in length from twenty-nine feet to sixty-seven feet and maintained three working sails. Fishermen outfitted oyster schooners with winches, dredges, and dredge tables. 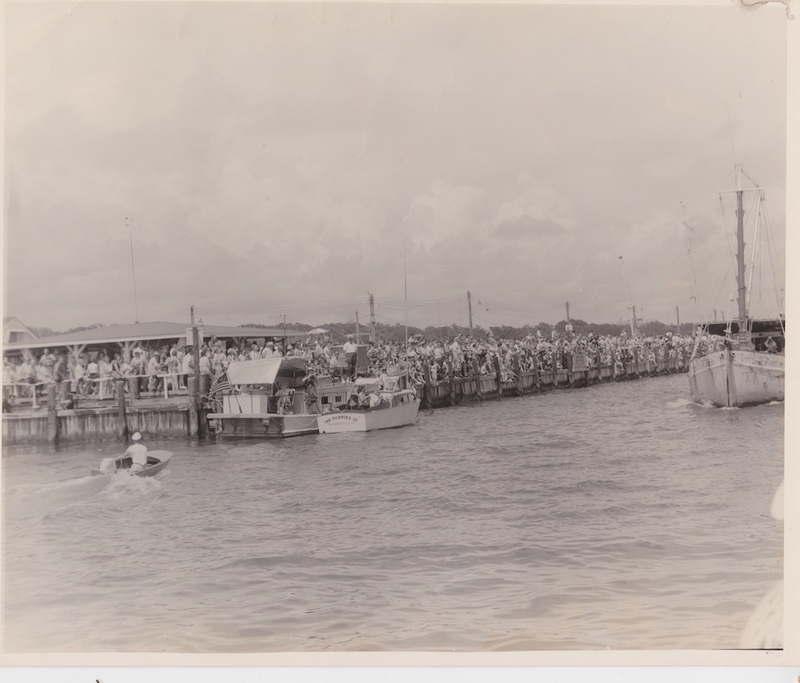 Schooners harvesting white shrimp deployed seines that were usually about a quarter-mile long. 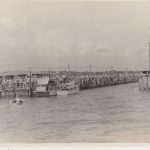 While Biloxi schooners served as the workhorse for the city’s fishing fleet, they also provided recreation. Each of the six major companies sent a schooner to compete in the Annual Biloxi Schooner Race, a fifteen-mile competition beginning and ending in the west end of Biloxi Channel. 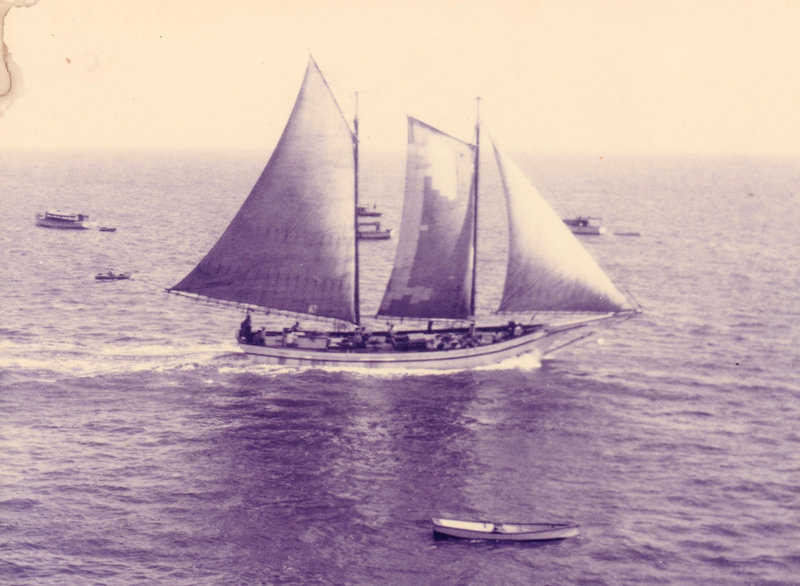 This race ended in 1938, by which time most schooners had converted to motor power, but the Biloxi Maritime and Seafood Industry Museum revived the tradition in the 1990s using replicas. Mississippi lifted its ban on the use of motor-powered dredges in 1933, ending the golden age of the Biloxi schooner. Before converting to total motor power, fishermen used motors in place of the topsail, fisherman sail, and flying jib. Converted Biloxi schooners continued to serve the industry for decades, with the last known schooner wrecked by Hurricane Elena in 1985.